MyBeerBuzz blog has been bringing good beers & good people together. It is the home of Northeastern Pennsylvania's craft beer scene and your source for national and international craft beer news. 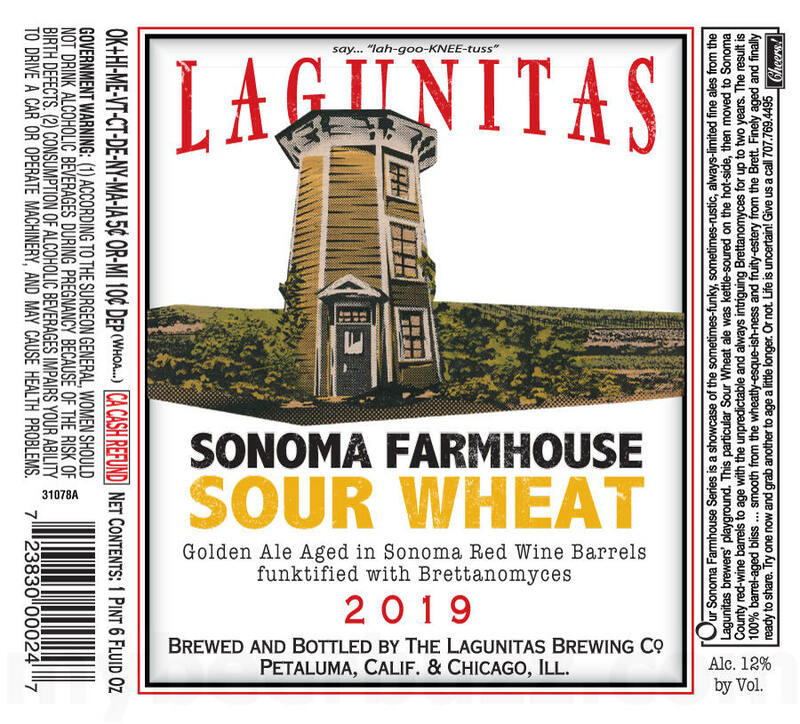 Find this first on mybeerbuzz.com: This morning we get our first peek at a new bottle coming from Lagunitas Brewing in Petaluma, CA and Chicago, IL. This is Sonoma Farmhouse Sour Wheat and it will be a golden ale aged in Sonoma Red wine barrels that is “funkified” with Brettanomyces (for up to two years). This 2019 beer will be part of the new Sonoma Farmhouse Series and it was “kettle-soured on the hot side.” The beer will roll in at 12%-AbV and you’re looking at the 22oz bottle. Stay tuned for full release details. ATLANTA, GA – April 25, 2019 – Just in time for warmer weather, this new crushable craft lager arrives in year-round six-packs and draft. 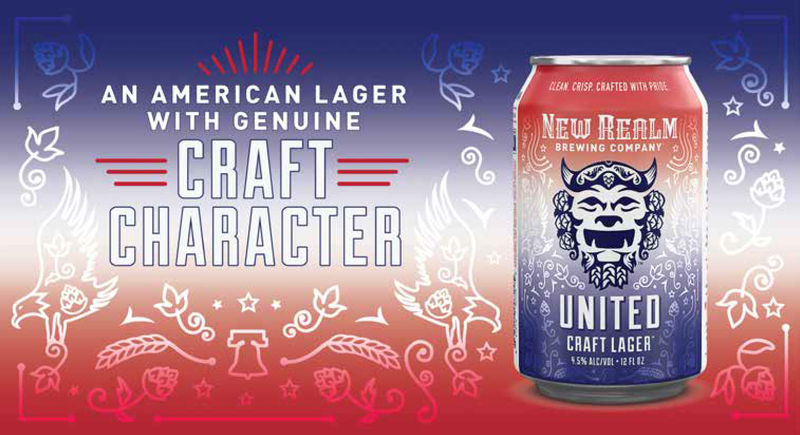 After much trial and tasting, New Realm Brewing developed an approachable and super fresh combination of hops, malt and flaked maize in order to create their first American lager, named United Craft Lager. Brewed to establish common ground among beer drinkers, United Craft Lager is available both at the brewery and in stores throughout New Realm Brewing’s current distribution footprint. New Realm’s United Craft Lager is available on draft and in 12-oz cans in the brewery’s to-go cooler, as well as our favorite retailers around Georgia and the Hampton Roads area in Virginia. New Realm Brewing is located at 550 Somerset Terrace NE (30306) with reservations accepted via OpenTable on New Realm’s website or by calling 404-968-2777. For a complete list of hours, information on private events and public tours, as well as additional information, visit newrealmbrewing.com. The people have spoken, and our May BC Small Batch launch will be (drum roll sound) exactly the same as April’s BC Small Batch launch. Space Race, a double dry-hopped hazy double IPA, rocketed off store shelves this month, moving as fast as any previous BCSB release. We know hazy IPAs are an in-demand style, but the velocity with which Space Race achieved liftoff surprised even us. Sending another round of Space Race into orbit made perfect sense. If you missed it the first time around or just need a refresher: Space Race was one of the most popular hazy IPAs we piloted in our Beer Hall last year. For the 2019 version, we doubled down on it. Boulder, CO – April 25, 2019 — Avery Brewing Company, a pioneering and innovative craft brewery known for its all-encompassing obsession with beer, creates a modern, hop forward, full-flavored Hazy IPA, at only 100 calories and 3 carbs. Founder and CEO Adam Avery admits, “This is an extremely selfish brewing endeavor. 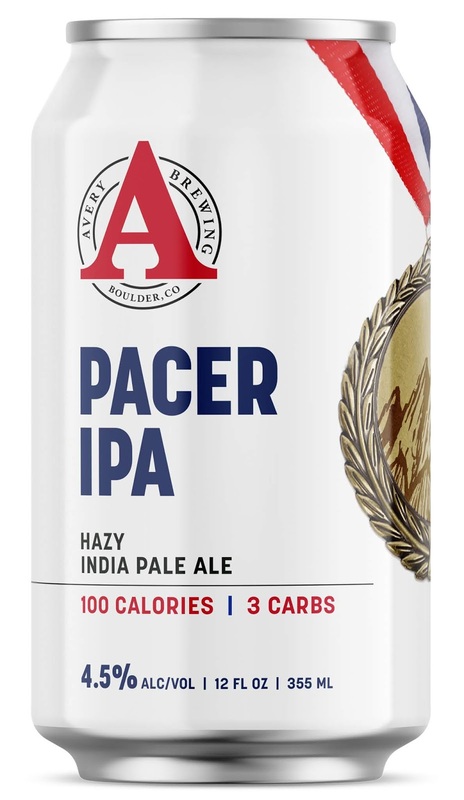 A beer brewed for me – an aging, wannabe-athlete who “drinks” for a living, and desperately needs to start setting a new and healthier pace in life.” Pacer IPA may not just be for him, though, as increasingly health-conscious drinkers look for lower calorie and lower carb options, driving the burgeoning “better-for-you” category in beer. Brewing a legitimate, flavorful Hazy IPA clocking in at 100 calories, 3 carbs, and 4.5% ABV, that sports a mouthfeel and hop character worthy of today’s craft beer drinker, was no easy task. True to the company’s Beer First mentality, the brewers were ready for the challenge, focusing on ingredients that would ensure high returns on the full sensory experience. In addition to traditional malted barley, they incorporated wheat and oats for fuller body, as well as an abundance of southern hemisphere hops, and contemporary dry-hopping techniques to achieve big, juicy, fruity aromas and flavors. 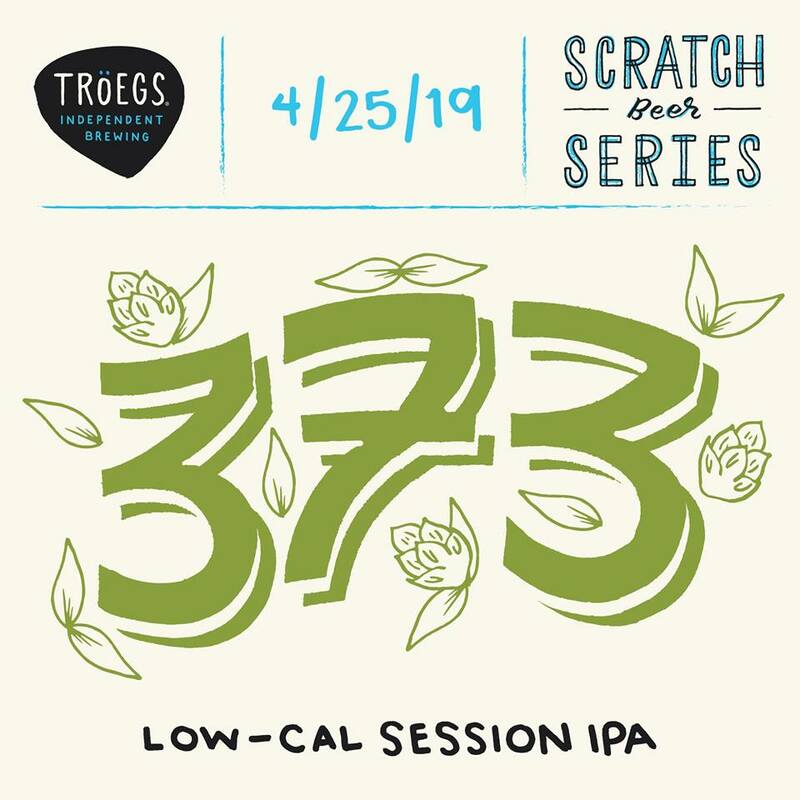 Scratch #373 represents take 2 on our low-cal challenge. This time around, we’ve tweaked the malt bill, kept the calories to 100 and hit 4% ABV. The chit malt is out, and we’ve added pale and honey malts to push the color to a more golden hue while adding subtle sweet, toasty notes. The hops stay the same – Cascade, Chinook and Comet – and we’ve brewed this one with Liberty Ale yeast for its delicate fruity esters. We taste: orange, grassiness, hint of toasted bread. Draft and growler fills now available at the brewery. Smooth Fuzz is a mélange of Belgian-style ales fermented and aged in oak barrels and foeders for up to 36 months. Tart and Funky, this complex beer rested on whole apricots prior to bottling to infuse juicy stone fruit flavors which mingle with the mixed fermentation character provided by our house lactobacillus and brettanomyces cultures. Smooth Fuzz will be available in 750ml bottles and on draft and will debut starting in the Greater Kansas City Area on Monday, May 6th with other regions to follow in the coming weeks. Expect to find Smooth Fuzz in locations that typically see Smokestack Series Limited Release and seasonal beers like Plaid Habit, Chocolate Ale and Love Child blends. Please note that we do not have access to our distributors’ delivery schedules and will be unable to confirm when Smooth Fuzz is available near you. 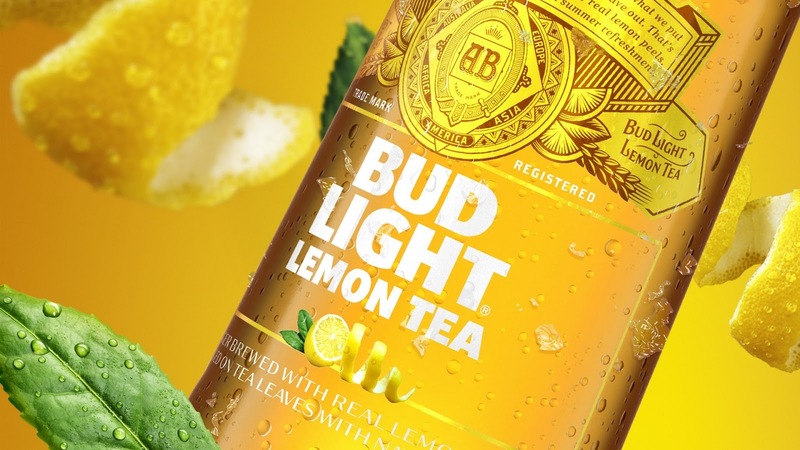 NEW YORK, NY April 25, 2019 Bud Light's expanding its popular citrus peels portfolio with new Bud Light Lemon Tea. The new innovation is a light lager brewed with real lemon peels and aged over real black tea leaves to give the beer its distinct flavor profile. Bud Light Lemon Tea complements the already popular Bud Lime and last year's number one new beer innovation, Bud Light Orange which are also brewed with real lime and orange peels. "As the number one selling beer in America, it is important for us to continue to innovate and bring consumers the types of products they are demanding. We saw the success of Bud Light Lime and Orange last summer and wanted to bring another beer into our portfolio that uses real lemon peels and tea leaves in the brewing process," said Andy Goeler, Vice President of Marketing for Bud Light. "Bud Light Lemon Tea is a product that we think consumers are going to love this summer. Its unique taste profile is something we think is going to help attract new people to the Bud Light family." Earlier this year Bud Light debuted a comprehensive ingredients label on its packaging that was followed by Bud Light Lime and Bud Light Orange shortly thereafter. As a continuation of Bud Light's commitment to transparency, Bud Light Lemon Tea will also include an ingredients and serving facts label on its packaging, as well as have icons that highlight that it is brewed with no corn syrup and no artificial flavors. Bud Light Lemon Tea will be a seasonal offering and is available nationwide starting April 29 through September. For more information about Bud Light Lemon Tea please contact media@anheuser-busch.com and be sure to follow @BudLight on Twitter, Instagram and Facebook. About Bud LightIntroduced in 1982, Bud Light is a premium light lager with a superior drinkability that has made it the best-selling and most popular beer in the United States. Bud Light is brewed using a blend of premium aroma hop varieties, both American-grown and imported, and a combination of barley malts and rice. The light-bodied beer features a fresh, clean and subtle hop aroma, delicate malt sweetness and a crisp finish that delivers the ultimate refreshment. For more information, visit www.BudLight.com. NEW YORK, April 22, 2019 -- Bud Light Dive Bar Tour is back for the fourth consecutive year. This year, the popular series that brings sell-out artists to intimate dive bars stages is going to more cities and featuring more artists than ever before. More cities and artists mean a more diverse line-up that includes up-and-coming musical acts in addition to award-winning artists that have made Bud Light Dive Bar Tour famous. The Bud Light Dive Bar Tour will make its first stop on April 29 in Denver, CO, joined by the three-piece alt rockers of Judah & The Lion. Then it will travel to Anheuser-Busch’s hometown of St. Louis, MO on May 16th where country music superstar Brett Eldredgewill hit the Dive Bar stage. On June 26 in San Francisco, CA, rising star FLETCHER will headline. Two more Dive Bar Tour shows are slated for August 2019 in New York City and November 2019 in Miami, FL. Artists for the final two shows will be announced later this year. As always, fans can expect an intimate show, with many of the artists giving an exclusive look into new music and more. The Bud Light Dive Bar Tour is a hallmark music-centric experience, focused on bringing people together over music and beers. The Tour bottles the vibes of when an artist started out, as well as the atmosphere of a stadium-packed performance, to deliver a show fans will never forget in an intimate setting. Previous artists who have taken the Bud Light Dive Bar Tour stage include Lady Gaga, John Mayer, G-Eazy and Post Malone. To keep up to date with the latest Bud Light Dive Bar Tour news, visit BudLight.com/DiveBarTour and follow Bud Light on Facebook at Facebook.com/BudLight, on Twitter at @BudLight, and on Instagram at @BudLight. NEW YORK, NY – April 23, 2019 – Stella Artois, the official beer of the 2019 Tribeca Film Festival, presented by AT&T, invites attendees to visit the “Stella Artois Film Studio” to be part of provocative conversations, interactive experiences that challenge the way we think, and celebrations around the Festival’s most anticipated films. During select hours throughout opening weekend, festival goers can also stop by the studio, located at 221 West Broadway, to enjoy a crisp Stella Artois, Stella Artois Cidre cocktail or the brand’s latest launch, Stella Artois Spritzer. Throughout the weekend, Stella Artois will toast to the most talked about casts and crews at VIP evening celebrations, including a documentary about a cultural icon who shaped the music industry (“Linda Ronstadt: The Sound of My Voice”) and a thriller that delves into the crime underworld (“Stray Dolls”). Festival attendees can also partake in a variety of experiences at the “Stella Artois Film Studio” that aim to change people’s perspectives, including an interactive food journey with renowned pastry chef Milt Abel II of “All That Jazz,” improv with Upright Citizens Brigade and musical performances through the lens of film. Additionally, a special panel will shine a spotlight on ReFrame, a coalition of industry professionals and partner companies founded by Women In Film and Sundance Institute whose mission is to increase the number of women of all backgrounds working in film, TV and media. The in-depth conversation will showcase female filmmakers who are helping to push forward the mission for inclusion and gender parity in Hollywood. Stella Artois will also host exclusive festival film screenings and thought-provoking talks at the “Stella Artois Theater” located at 199 Chambers Street from Thursday, April 25 through Sunday, May 5. Festival goers can visit TribecaFilm.com to purchase tickets for these events and get an inside look at how the film industry impacts culture. 2:00 – 3:00 PM: “ReFrame the World: Gender Parity Success Stories” – Join ReFrame, a partnership between Sundance Institute and Women In Film, in a conversation with storytellers who are changing perspectives and shifting culture with compelling films that feature diverse talent in front of and behind the camera. Moderated by Kirsten Schaffer, Executive Director, Women In Film Los Angeles with panelists including: Director Mary Harron (“Charlie Says”), Writer and Director Sonejuhi Sinha (“Stray Dolls”), Producer and Editor Zoe Sua Cho (“House of Hummingbird”), and Director Tanya Wexler (“Buffaloed”). 3:00 – 4:00 PM: Women In Film Cocktail Party – Chat with those shifting perspective women's role in the film industry over a Stella Artois. 5:00 – 6:00 PM: “This Used To Be New York” Panel Discussion – Experience an in-depth conversation around the culture of NYC now with a look back at films that captured the quintessential New York moments that burned bright in the city’s history. Panelists include: Directors Puloma Basu & Rob Hatch Miller (“Other Music”), Director Selina Miles (“Martha”) and Producer Daniel Joyce (“Martha”). 9:00 – 10:00 PM: Live Music from DJ CHNNLS – An immersive experience that remixes famous film moments, soundtracks and performances. 1:30 – 3:00 PM: “That’s My Jazz” Screening & Interactive Demo – Enjoy the premiere screening of “That’s My Jazz” followed by a conversation with filmmaker Ben Proudfoot, the film’s star and renowned pastry chef Milton Abel II, and other noteworthy chefs around how they are changing the industry. Located at 221 West Broadway, the “Stella Artois Film Studio” will be open on Saturday, April 27 and Sunday, April 28 where festival attendees who are 21+ can stop by to create memories in our special effects photo booth, purchase limited-edition Chalices, posters and pins, and snack on classic concessions, all while enjoying a Stella Artois. Visit StellaArtoisFilmStudio.com to learn more and RSVP for events. Not in New York City or attending the festival? Join in on the action by following @StellaArtois #StellaMoments. April 24, 2019 - Today, Anheuser-Busch announced the company is expanding its emergency drinking water program in partnership with the National Volunteer Fire Council (NVFC) to deliver critical hydration to volunteer firefighters across the country. The new partnership will kick off with a donation of one million cans of clean drinking water in support of volunteer fire departments in 2019, beginning this spring in advance of wildfire season. Every year, Anheuser-Busch periodically pauses beer production to can emergency drinking water, to be ready to lend a helping hand during natural disasters and other crises. Building on this commitment, the brewer has teamed up with NVFC, the national association serving volunteer fire departments, to deploy its brewery resources and production expertise to deliver canned water to the nation’s volunteer firefighters. “Volunteer fire departments across the country are in need of our support,” said Heather Schafer, CEO of the NVFC. “Many Americans don’t realize that 65 percent of our nation’s firefighters are actually volunteers, with nearly 85 percent of fire departments being all or mostly volunteer. There’s plenty of support they need – but maintaining hydration during long incidents or disasters such as wildfires is a major concern for departments with limited budgets and resources. It’s been so powerful for us to team up with Anheuser-Busch in the evolution of this program to offer clean, safe drinking water to volunteer responders across the country. The cans of emergency drinking water will be distributed by Anheuser-Busch’s wholesaler partners in 25 markets at the start of June to help volunteer departments prepare for the upcoming wildfire season. In partnership with Anheuser-Busch, the NVFC has identified and selected the most vulnerable markets across the nation to receive the initial water donation. The program will also leverage a rapid-response approach to support volunteer departments nationwide actively fighting wildfires throughout the year. Joining forces with Anheuser-Busch and the NVFC is the Congressional Fire Services Institute (CFSI), whose mission it is to educate members of Congress about the needs and challenges of our nation’s fire and emergency services. Together, Anheuser-Busch, the NVFC and CFSI will be raising awareness on the needs of local first responders – especially around hydration. Anheuser-Busch has a longstanding tradition of providing emergency drinking water and supplies for disaster relief efforts in partnership with the American Red Cross. Since 1988, Anheuser-Busch and their wholesaler partners have provided more than 80 million cans of water to U.S. communities affected by natural disasters nationwide. For more than 165 years, Anheuser-Busch has been woven into the cultural fabric of the United States, carrying on a legacy of brewing great-tasting, high-quality beers that have satisfied beer drinkers for generations. Today, we own and operate 23 breweries, 14 distributorships and 23 agricultural and packaging facilities, and have more than 18,000 colleagues across the United States. We are home to several of America’s most recognizable beer brands, including Budweiser, Bud Light, Michelob ULTRA and Stella Artois, as well as a number of regional brands that provide beer drinkers with a choice of the best-tasting craft beers in the industry. The National Volunteer Fire Council (NVFC) is the leading nonprofit membership association representing the interests of the volunteer fire, emergency medical, and rescue services. The NVFC serves as the voice of the volunteer in the national arena and provides invaluable advocacy, resources, programs, and education for first responders across the nation. Learn more at www.nvfc.org.